A French fishing trawler netted a World War II bomb containing nearly a tonne of explosives off the coast of Normandy on Friday, prompting the emergency evacuation. 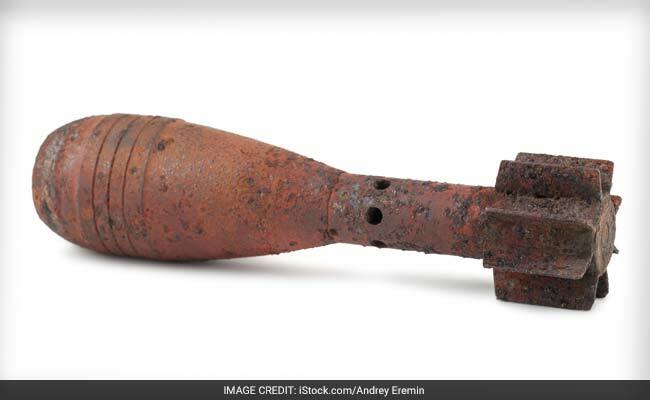 A French fishing trawler netted a World War II bomb containing nearly a tonne of explosives off the coast of Normandy on Friday, prompting the emergency evacuation of the crew while the device was returned to the seabed, authorities said. The trawler was fishing around two nautical miles off the coast in the English Channel when it swept up the German bomb containing some 860 kilos (almost a tonne) of explosives. Alerted to the haul in the early hours of Friday, the region's maritime authorities sprang into action. Within two hours a marine helicopter had been scrambled to the scene with five mine clearance divers, who were winched onto the vessel. Using straps, the divers freed the bomb from the net and lowered it gently back into the water, noting its GPS position so that it can be defused by bomb disposal experts next week. The crew was evacuated during the operation which took part on a section of the coast where the June 1944 D-Day landings that led to the liberation of occupied France took place. The authorities praised them for seeking help, saying that to have tried to release the device from the nets themselves would have entailed "serious risks".